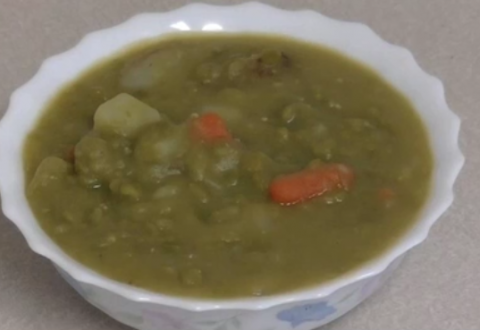 A Tasty Split Pea Soup Recipe and A Book Giveaway! Learn more about how you can host your vegan own waffle breakfast get together here. Chef Chew and his wife are starting a vegan restaurant in Fayettevile, Arkansas close to Ozark Natural Foods health store. I was able to taste test an experimental batch of one of his vegan cinnamon rolls (yes, he actually uses coriander instead of cinnamon).